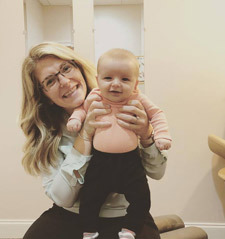 Dr. Nicole Titman opened her Fulton chiropractic office in August of 2015. She grew up in Central New York and wanted to return to her roots. With her, she brought the expertise to serve the communities that contributed to her upbringing with a high level of natural health care. Your health is valuable and we want to help you reach your full potential! Here at Canalview Chiropractic, we provide ongoing relief and wellness care for our patients. 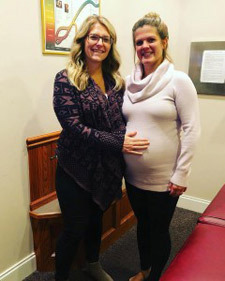 Many seek relief when visiting our office for the first time as their primary goal and then choose to continue with routine chiropractic care for ongoing wellness. Initially, we will cover the underlying cause of your health problem, suggest a plan to produce the fastest results possible and offer ways the patients can participate in their recovery. Further, we explain the value of post-symptomatic wellness care. Canalview Chiropractic is committed to teaching our patients that true health is a journey, not a destination. We strive to provide high quality chiropractic care during all stages of treatment, while making appropriate recommendations, and working together to achieve your health goals. We aim to educate our patients on the value of ongoing chiropractic care. Our desire is to see our patients embrace wellness and preventative care. Are you ready to achieve a maximum level of health and wellness? We’re here to guide you! Contact us to get started today!